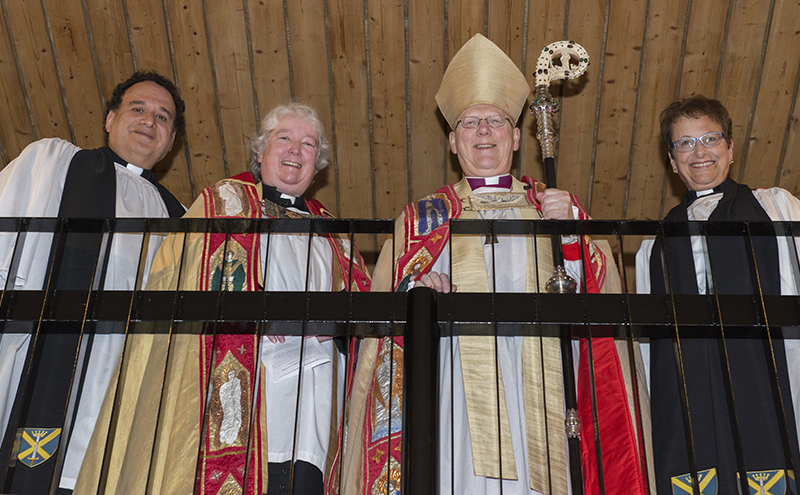 The Ven Janet Mackenzie, the Revd Jane Hatton and the Revd Mike Pilavachi were installed as Canons of St Albans Cathedral on Saturday, 19th November. Archdeacon Janet was recently collated as Archdeacon of Hertford and Archdeacons in St Albans Diocese are also appointed as Canons of the Cathedral. Honorary Canonries are appointed for distinguished service of relevance to the diocese as a whole. Canon Jane is Hospital Chaplain at the Lister Hospital and Canon Mike is the Senior Pastor of Soul Survivor Church, Watford and leader of the Soul Survivor movement nationally and internationally.